Hope you are all well. This is a response to a few of our friends asking me how to import data from excel into cloud firestore. In this post, we’ll be seeing how to do that exactly. Clone my repo from here. Get into the directory from a terminal and give the below command. Copy your project configuration from firebase and paste it here in the config variable. Deploy it to firebase cloud. Now simply run the app using ng serve. Login as any user (user from your firebase project) and simply choose the excel with the data that you want to import. It will take a minute (wait exactly a minute) before it starts storing it into firestore under the collection name mycoll and each row will become a document under the collection. Note: Both the collection name and document names can be customised in the xltofirestore service in the project. (Also I would advise you to increase the number of seconds from 60 to a greater number in the setTimeout() function in the same service if you are planning to use a excel with a large number of rows. If you wanted to give an object inside the object you are storing, kindly change the excel accordingly. For eg., if the rows in the excel are named street, city, zip then all will be stored as different fieldvalues. But if they are named address.street, address.city & address.zip then they will be stored as entities under a common address object. The helper lib that I am using to convert excel to JSON is available here. It was created by Steve tarver and I am very much grateful to him for giving us this tool. Hope this helped you guys. If you found this helpful, kindly share it with someone and help them too. Donate to keep this site alive.. I would highly recommend watching the video for more clarity on how to use this. Do we need to set up CORS headers to use google storage ? I fixed the CORS error now I get “core.js:1448 ERROR Error: Uncaught (in promise): FirebaseError: [code=permission-denied]: Missing or insufficient permissions. FirebaseError: Missing or insufficient permissions.” and no collection / docs created. Any ideas? Thanks for post. Can you publish firebase rtdb version of this project ? Good works. However I wonder if there is a way to get the cloud function answer instead of running a 60000 seconds timeout, which doesn’t guarentee that we’ll get our file in time? Yep.. This was just a simple beginner code to accomplish the job so that everyone could use it with zero guidance..
Is there any leaner utility to upload a Json directly ? i.e. instead of the .xls bulk in the middle ? Hi, extremely useful but how could I import data for the subcollections? Actually, that is a good question.. Maybe I’ll work on it soon.. Thanks. Have a nice day.. I have an issue… In my case, excel file uploads on “storage” As Documente and create a record on ‘Realtime Database’ not in Cloud Firestore, You Have any idea for solve this behavior? I got this error after I logged in. It didnt work and showed some errors. 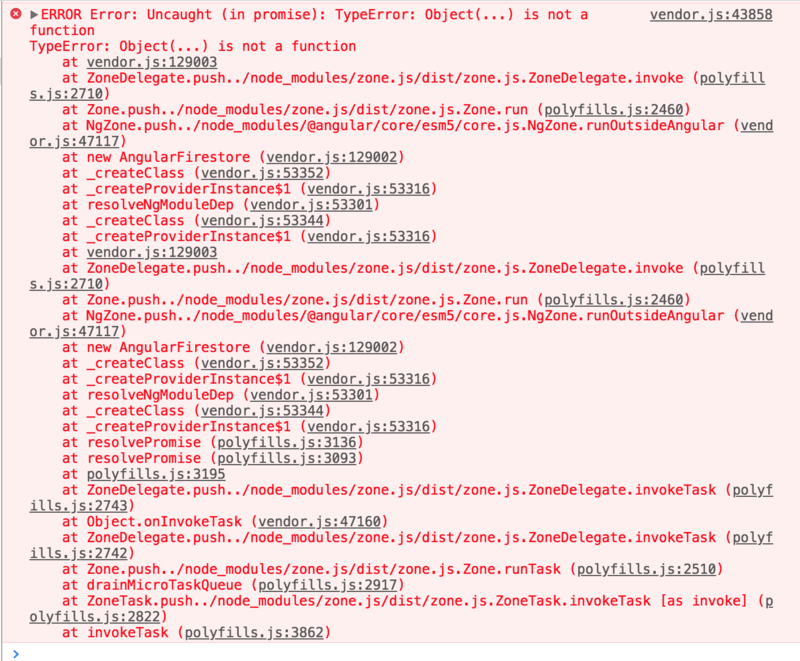 Tried to read and debug, wasted the whole day. You have to be inside an angular-cli project in order to use the serve command. ? ?